The Eagles Girls Hockey team picked up a tournament win this weekend in Winnipeg. 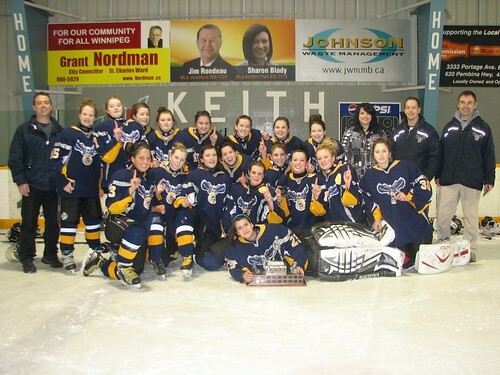 The Girls Hockey team skated their way to victory in Winnipeg tournament play this weekend. The Eagles played to a 3-1 victory over St. Mary’s in the Championship game. The girls are in Ear Falls tonight to take on the Red Lake Rams.